Dawn your reindeer antlers, wrap yourself in a warm scarf, and head over to PS 133 to experience Holiday Fiesta, December 10-11. Students from the School at Dancewave, Dancewave Companies & Ensembles, and D-Wave in Motion students perform in this fun-filled family event. 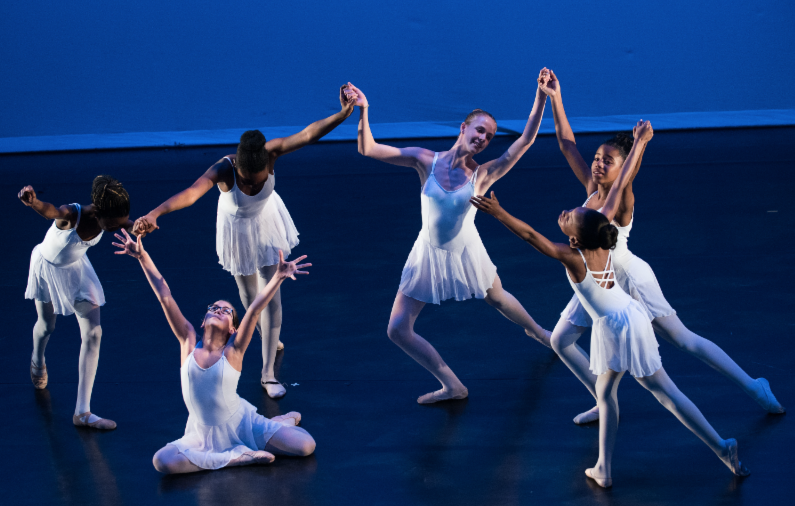 With two shows a day this year, each performance features a different combination of the semester’s classes and repertory performed by Dancewave Companies & Ensembles. This semester’s guest choreographers include David Dorfman, Jamal Jackson, and Julia Ehrstrand. PLUS: Celebrate the semester’s accomplishments between the performances from 4:00-5:00pm at our Hallway Fiesta. A fabulous opportunity to meet people within the community, Hallway Fiesta includes an interactive photo booth, cookies and other treats, and a special surprise for snapchat users! We look forward to some merry mingling with you all. 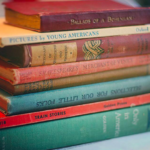 On December 18th, read and relax with Dancewave! We are introducing two exciting new events to round out our holiday season. Start your day at Barnes & Noble Park Slope for a performance by Dancewave Youth Ensembles at 1pm and 2pm, and finish your holiday shopping! Use code 11994449 with your purchase in all stores on 12/18 and online 12/19-12/23 and Barnes & Noble donates a portion of the proceeds to Dancewave. Finish out your day at Dancewave on Fourth Avenue (at Dean Street) to de-stress from all of the holiday prep at our first-ever Wellness Fair. From 2:00-5:00pm Dancewave opens its doors to experienced local practitioners offering a variety of holistic practices such as Acupuncture, Chiropractic, Thai Massage, and Zen Shiatsu. Participants will receive treatments at less than $1 per minute. 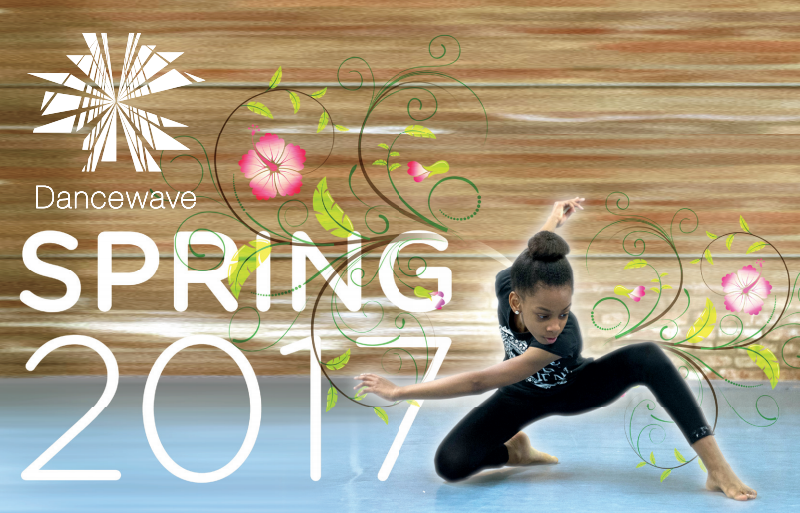 Spring into 2017 with Dancewave at our Open House January 9-13, 2017! RSVP for FREE trial dance classes for both youth and adults to preview our Spring Semester classes. Register for Spring Semester while space is still available! Register before 12/16 to receive our Early Bird discount. Classes range from creative movement to hip hop to musical theatre, ages 24 months-18 years old. This Spring we are announcing a new Kukuwa Fitness class for our Adult Open Level Classes. Kukuwa is a high-energy blend of African movement and dance fitness, and we welcome Nicole White to sweat off our “boomsey”! Dancewave believes that the arts are for everyone, and we work to ensure that youth from all backgrounds are able to study dance. In the past year, we awarded 7 students with full scholarships to the School at Dancewave. The 2016-2017 Dancewave Ambassador’s Scholarship Award recipients have been in class and rehearsals with us every day and volunteering at various events throughout the community. These students will perform works by David Dorfman, Jamal Jackson, and Julia Ehrstrand. With your support, we can continue to award full scholarships to 15 deserving young people in the 2017-2018 school year. Our goal will double the amount of full scholarships awarded to Dancewave students, encouraging more young artists to pursue their dreams. We have 22 days to raise $50,000. Help us reach our goal by clicking the link below and donating to Dancewave’s Scholarship Initiative. Thinking of gift ideas? This holiday season, bid on exclusive auction items at Dancewave’s Online Holiday Auction. Your purchase from Dancewave’s auction supports our Scholarship Initiative, gifting dance to young people.